Lucile Leonard of Otsego passed away Thursday, July 30, 2009, in Kalamazoo. Mrs. Leonard was born December 24, 1921 in Allegan to Robert and Estella (Thompson) Guidebeck and was a lifelong resident of the area. She was an Otsego High School graduate, Class of ’39. Lucile earned her Realtors License in the Mid 1970’s and worked in the Real Estate Market for several years. She was a member of the Otsego Choral Group and the Otsego Congregational Church Choir. Her favorite leisure activities were playing golf, bridge and entertaining friends and family. In her younger years, Lucile was an avid horsewoman. On September 16, 1942, in Otsego she married Richard ‘Rip’ Leonard, who died in 2001. Also preceding her in death were her siblings, Glenn and Lovell Van Fleet, Meryl Pries, Helen Sharpsteen, Robert Guidebeck, and Mary Alice Hummel. Surviving are two daughters, Diana (Fred) Hinkley of West Branch and Deborah (Tim) Mills of Otsego; 4 Grandchildren, Ryan and Megan Hinkley, Cristin (Bryon) Gerwolds and Kate (Tony) Gross; 3 Great-grandchildren, Klayre Gerwolds, Devon and Elaina Gross; a brother, William Guidebeck; many nieces and nephews. In keeping with her wishes cremation has taken place. Friends may meet with her family beginning 10:00 a.m.Thursday, August 6, 2009 at the Winkel Funeral Home Otsego where a Memorial Service will be held at 11:00 A.m. with Celebrant William Rose officiating. Contributions in memory of Lucile may be made to the American Diabetes Association or The Humane Society. 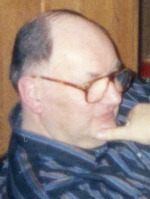 Vernon E. Metcalf of Kalamazoo, Michigan, (formerly of Otsego) passed away Thursday, July 30, 2009, at his home. Mr. Metcalf was born October 25, 1922, in White Rock, South Dakota. He served his country in the U.S. Army. For many years he was employed with Perrigo Co., retiring in 1987. Vernon was a member of St. Margaret’s Catholic Church in Otsego, the Knights of Columbus and the American Legion. His leisure activities included bowling and airplanes, and in his younger days he enjoyed building model airplanes. On October 7, 1941 he married the former Melvena Dumas, who survives. Also surviving is his daughter, Barbara (Daniel) Palazuk of Battle Creek. Preceding him in death was his sister, Darlene. Friends may meet with his family from 1 to 3 P.M. Sunday at the Winkel Funeral Home, Otsego, where the Rosary will be recited at 2:30 P.M. Mass of Christian Burial will be celebrated at 11:00 A.M. Monday, at St. Margaret’s Catholic Church, Otsego, Rev. Fr. Donald P. Klingler celebrant. Burial will follow at St. Margaret’s Cemetery. Contributions in memory of Vern may be made to Hospice Care of Southwest Michigan. 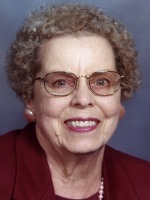 Marian L. Withrow of Allegan, Michigan passed away Tuesday, July 28, 2009, at her home. Mrs. Withrow was born August 27, 1936 in Kalamazoo the daughter of Theodore and Gladys (Knapp) Parks. On November 18, 1956 she married John Withrow who survives. Also surviving are 2 daughters, Cathy (Dale) Kibby of Tampa, FL and their children, Amber, Tanden and Molly; and Charri Withrow of Kalamazoo and her daughter, Emily; a sister Bette (John) Patterson of Castroville, TX and their children, Tammy Hazel and Terry Patterson. She was preceded by a daughter Cristie in 2005. Cremation has taken place. A Memorial service will be held Friday July 31, 2009 at 11 A.M. at the Martin United Methodist Church, Rev. David A. Selleck officiating. Memorial donations may be made to Borgess VNA & Hospice or American Cancer Society. Donnie L. Rop of Plainwell, Michigan, passed away peacefully at home with his family after a brief illness on Tuesday, July 21, 2009. Don was born December 7, 1942 in Kalamazoo, the son of Claus and Daisy (Budzinski) Rop. He had been employed with Menasha Paper Company in Otsego retiring after 30 years of service. Don is survived by his wife of 46 years, Catherine ‘Kitty’ (Mason) Rop; his daughters, Laurie (Jeff) Marculis and Shelley Rop; his grandchildren, Ashley, Andrew, Brody, Jeff Jr. and Katie; his siblings, Bill (Ellie) Rop, Betty (Lou) Hall; his in-laws, Roger Mason, Ken (Sherry) Mason, Sandy (Jr.) Tackett and Bob (Debbie) Mason; many nieces and nephews. He was a loving husband, father, grandpa, brother, uncle and friend. Everyone who met him, loved him and he touched so many lives in his quiet strong way. We will miss his chuckle. He was preceded in death by his parents, his mother-in-law and father-in-law and a brother, Claus. In accordance with his wishes, Don has been cremated. A memorial service will be held at a later date. Memorial donations may be made to the Victory Junction Gang Camp for kids, 4500 Adam’s Way, Randleman, NC 27317. 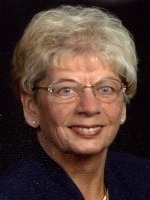 Sandra M. Winkler of Plainwell, Michigan, passed away Sunday, July 19, 2009 in Plainwell. Sandra was born October 31, 1946 in Kalamazoo to Richard and Virginia (Laws) Lovett and had been a lifelong resident of the area. Surviving are three children, Charles (Mary) Winkler, Jr. of Plainwell, Kimberly (Jeffrey) Shafer of Portage and Thomas Winkler of Plainwell; seven grandchildren, Michael, Monica, Meggan, Nicholas, Elizabeth, Douglas and Charles III; two great-grandchildren and one more on the way; her mother, Virginia Lovett of Galesburg; two sisters, Victoria (Meredith) Weaver of Kalamazoo and Louann (Joe) Reisterer of Comstock; several nieces and nephews. Preceding her in death were her husband, Charles Winkler, Sr. in 2006 and her sister, Diane Taylor. Friends may meet with her family from 2 to 4 and 6 to 8 P.M. Thursday at the Winkel Funeral Home, Otsego, where services will be held at 12 Noon Friday, with Hospice Chaplain Robert Pumfery officiating. Burial at Fort Custer National Cemetery will be at 1:30 P.M. Memorial contributions may be made to her family for expenses. William Eric ‘Bill’ Steinke of Otsego, Michigan, went home to be with the Lord on July 19, 2009. Bill was born December 16, 1967, in Plainwell, Michigan, to Gerald and Joyce (Niles) Steinke. He was employed with Safari Circuits. Bill loved spending time with his son, Rickey, and close friends, Brad and Seth. He also loved camping, cooking, fishing, gardening and having coffee with his father, sister and brother. Most of all, he loved helping others. Surviving him are his son, Richard Allen Steinke; his father, Gerald Steinke; a brother, Richard (Kandy) Steinke, all of Otsego; a sister, Wendy Baden of Delton; several aunts, uncles and cousins. Preceding him in death were his mother, Joyce Steinke; brother-in-law, Tim Baden; grandparents, Fred and Eileen Niles, Herman and Alvina Steinke; and his good friend, Richard Town, along with several aunts and uncles. Friends may meet the family from 4 to 7 P.M. Wednesday at the Winkel Funeral Home, Otsego. Graveside services at Mountain Home Cemetery, Otsego, will be held at 10:30 A.M. Thursday, with Pastor Herb Curry officiating. Contributions in memory of Bill may be made to the Chicora Country Chapel. Donald J. Watters of Otsego passed away Thursday, July 16, 2009 in Cooper Twp. Don was born November 28, 1936 in Plainwell, the son of James and Helen (Hanson) Watters. For many years he owned and operated a milk hauling business, Don Watters Milk Hauling. Don loved model trains with an entire room filled with a track set-up. He also was an avid coin collector and a member of the First Baptist Church of Otsego. Surviving are his cousins, Kirk (Cindy) Raue of Holland, Scott (Ann) Raue of South Haven, Bonnie Raue of Saugatuck and Jim (Alice) Hanson of Kalamazoo and their families. He was preceded in death by his parents. Cremation has taken place. There will be no visitation at the funeral home. A memorial service will be held Saturday, July 25, 2009 at 11:00 A.M. at Winkel Funeral Home, with Pastor Merlyn Jones, officiating. Memorial donations may be made to Heartland Hospice, Portage. Irene M. Seekman of Otsego, MI passed away Saturday, July 11, 2009 at her daughter’s home surrounded by loving family members. Mrs. Seekman was born September 3, 1915 in Olwine, IA, the daughter of Orville John “Huck” and Verna (Kimbell) Finn. On June 25, 1937 in Goshen, IN she married Earl Seekman, who preceded her in death in 2001 after 62 years of marriage. She is survived by her children; Lorna Pirrone, of Otsego, Verna Louallen of Otsego, Robert (Carole) Burrows of Mesa, AZ, Richard Seekman of Arizona City, AZ, Dan (Carol Ann) Seekman, Stanley (Lorena) Seekman, Mary Ann Schiero and Karen (Jack) Campbell all of Otsego; 11 grandchildren; 15 great-grandchildren; 9 great-great-grandchildren. Irene had several special friends that loved and cared for her: Mary Jane Rantz, Julie Solomon, Val Krogmann, and Dorothy Tucker a former classmate. Irene was preceded in death by her first husband Robert Burrows, a son Russell Seekman, a grandson Walter Earl Louallen, a brother Edward Finn, a son-in-law, Joseph Pirrone and a grandson, Vern Dunklee. Irene raised her family of nine children and had a successful 25 year career as a Licensed Psychiatric Nurse at the Plainwell Sanitarium, where she was well-liked and well respected. She retired in 1969, but continued to work and help her children in their businesses. She will be missed by her favorite cat, Bud. Friends may meet with the family Tuesday from 10:00 A.M. until the service time of 11:00 at Winkel Funeral Home with Rev. David Youngs officiating. Interment will follow at Mountain Home Cemetery, Otsego. In lieu of flowers please make memorial contributions to Allegan County Wings of Hope Hospice or the First Congregational Church of Otsego.